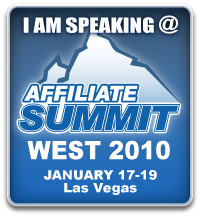 Attending Affiliate Summit Las Vegas? Drive millions of free, high-value visitors with articles. Avoid the 7 common pitfalls that could hurt your pocketbook & reputation. I’ll be covering the positive approach to help you leverage article writing & marketing to attract MILLIONS of highly pre-qualified visitors back to your website / affiliate campaign. 4,125+ Internet Marketers are attending this conference (full conference agenda). Wow, eh? This event is put on by EzineArticles Expert Author Shawn Collins [Twitter @AffiliateTip] & Missy Ward [Twitter @MissyWard]. If you’re attending the summit and interested in being the subject of a video case study, please let me know by leaving a comment below. Wish I could attend. Great concept, dear to my heart and, of course, highly relevant to so many people who depend on article marketing as a key traffic generator. I’d love to be there, unfortunatelly I can’t make it on time. Same. Wish I could be there but it’s not happening this time. Good luck tomorrow and have lots of fun!